Turkey this week reached new heights in its efforts to block information being accessible online by going one step further than usual and blocking privacy services that allow users to circumvent censorship. The Information and Communication Technologies Authority (ICTA) ordered that both Tor and a range of VPN services including Private Internet Access, VyprVPN, IPVanish, Hotspot Shield and a host of other VPN services be blocked across the country. Turkey has been known to block services such as Facebook, YouTube and Twitter at times of civil unrest and the continued use of these services to publish information against the Turkish government has lead to patchy access of these services in recent years. Many Turkish users turn to privacy services such as VPN providers to circumvent these blocks to access a free and open internet. The Turkish government has clearly got wind of this and is now attempting to block circumvention at the source as well as directly blocking individual websites. Earlier in the day monitoring site Turkey Blocks confirmed social media sites including Twitter, Facebook, YouTube and messaging services such as Whatsapp had become blocked on the largest ISPs across the country in response to protests that were taking place across the country. The fallout of the Tor and VPN blocks will have a negative impact on Turkish internet users. As social media is regularly blocked in Turkey users are now accustomed to using reliable VPN services from companies such as IPVanish and ExpressVPN. If these services remain blocked and inaccessible within Turkey then users will look to unproven or fly-by-night providers who are uninterested in securing the privacy of users and instead could pose a security risk. Turkish users would be well advised to sign up to smaller but proven providers such as VPN.ac and LiquidVPN who as of the date of publication are still accessible within Turkey. Blocking access to VPN protocols and VPN services as a whole will cause further problems for users who need such services for purposes other than privacy. Many large corporations such as banks make use of VPN services to allow workers to remotely access workstations and company servers. 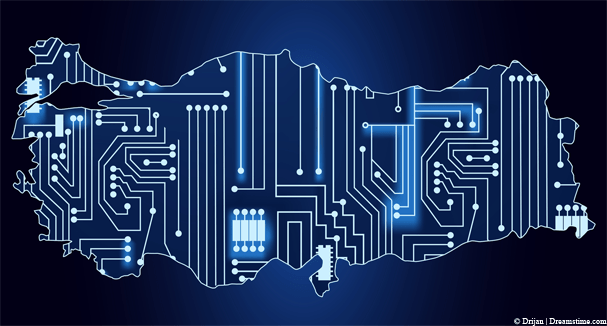 Although the latest blocks will no doubt be a headache for Turkish internet users the move is highly unlikely to be successful as users will look to other services to fulfil their privacy and censorship circumvention needs. Local news reports suggest that users could also look to foreign internet services by using satellite devices to access internet companies based in Iran or other countries within close proximity to Turkey. Individual site and service blocks come just days after Turkey completely blocked internet access to 11 Kurdish cities.